Independent Directors – Rocky Mountain Liquor Inc.
Mr. Coleman is the President and Chief Executive Officer of the Coleman Group of Companies (“Colemans”), a retail food, home furnishings and clothing company based in Newfoundland and Labrador. 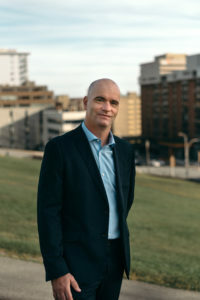 Prior to joining Colemans in 1986, he was President of Atlantic Consulting Economists, a private consultancy firm based in St. John’s, Newfoundland and Labrador. Mr. Coleman also served as Chief Economist with Newfoundland and Labrador Hydro from 1976-1983. Mr. Coleman holds a Bachelor of Arts degree from St. Francis Xavier University and a Masters Degree in economics from Dalhousie University and is a director of the North West Company Inc. and president and director of each of Humber Valley Paving Ltd. and Humber Valley Aggregates and Asphalt Ltd.
Mr. Normandeau is President of SeaFort Capital, an investment firm based in Halifax, Nova Scotia. 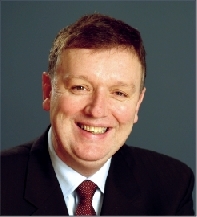 Mr. Normandeau previously served as President & CEO of a TSX-listed investment company. Prior to that, Mr. Normandeau practiced law in the Toronto office of a major New York-based law firm, where he specialized in corporate finance and mergers and acquisitions. Mr. Normandeau holds a Bachelor of Arts degree (Scholar’s Electives) from the University of Western Ontario, a Master of Business Administration degree with a specialization in finance from the University of Toronto, and a Bachelor of Laws degree from the University of Toronto. Mr. Normandeau is admitted to the practice of law in Ontario, Nova Scotia and New York. He also serves as a Director of IWK Children’s Hospital Foundation.